ICATS was developed due to demands by industry to have formal accredited training for applicators of coatings in the UK. The scheme is mandated by The Highways Agency in NHSS19A and Network Rail for all applicators and is also a requirement for many other major structure owners such as Oil Companies, Power Generators and Infrastructure Owners. ICATS focuses on Health & Safety, Access, Paint Types, Surface Preparation, Coating Application and QA/QC. Additional Specialist Modules in Paint Spraying and Abrasive Blast Cleaning are also available. The scheme stakeholders include: Highways Agency, Network Rail, British Coatings Federation, British Constructional Steelwork Association, Consulting Engineers, Local Authorities and Structural Engineering Specifiers. ICATS is mandated for Highways Works through the National Highways Sector Scheme (NHSS) 19A and is also a statutory requirement for all Network Rail contracts. The Environment Agency and TFL require ICATS qualified operatives for many of their projects. Other major organisations are expected to adopt the scheme in the near future. Open doors to major contracts – Many major clients make ICATS a mandatory requirement for the companies submitting tenders for contracts. Technical edge – ICATS certification gives companies a technical edge when applying for registration on approved contractors lists and quoting for contracts. 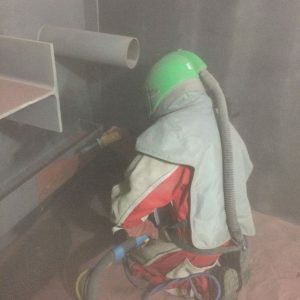 The iCATS Industrial Painting courses are made of three modules, the first which must be completed prior to attempting any further module is the ICATS Protective Coatings Application. 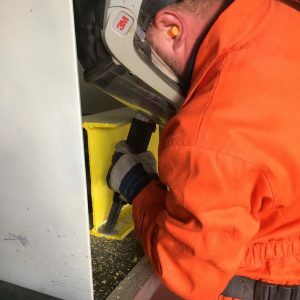 After successfully completing this course delegates can then go on to complete the ICATS Abrasive Blast Cleaning and ICATS Spray Painting courses. 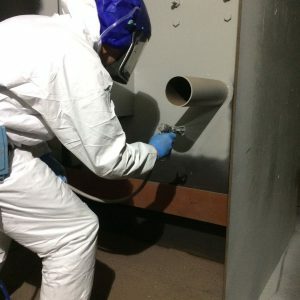 Candidates undergoing training for certification as Industrial Coating Applicator (ICA) are not required to have any previous experience of industrial coatings application however they will be required to be mentored by a qualified ICATS operative in the workplace for a period of one year after successful completion of ICATS ICA training. This also applies for delegates with less than 5 year industrial coatings experience. During the year of mentoring the trainee will carry a Coating Applicator Trainee wallet card (valid for 12 months) to signify their status as under mentoring. Once the log book has been completed this is sent direct to iCATS address on the log book for a replacement full iCATS card.